Haswell-E is here. Well, technically, it's been "here" for a while but has undergone refinements throughout the last year to ready itself for launch. One of those refinements was more performance and cooler operating temperatures. Without creating a whole new architecture, the only feasible direction, given the current TDP and heat challenges facing Haswell, was to refine the silicon, add more cores, lower the core voltage, and assign a frequency that can be maintained across those cores. The result is the new Core i7-5960X Haswell-E processor that uses 8 physical cores and 16 threads to flex its muscle. Today, we're giving the new Core i7-5960X its debut, after repeated torture tests for days on end. The question on everyone's mind is, do all those threads really make this new processor worth the money? That's exactly the question we want to answer. 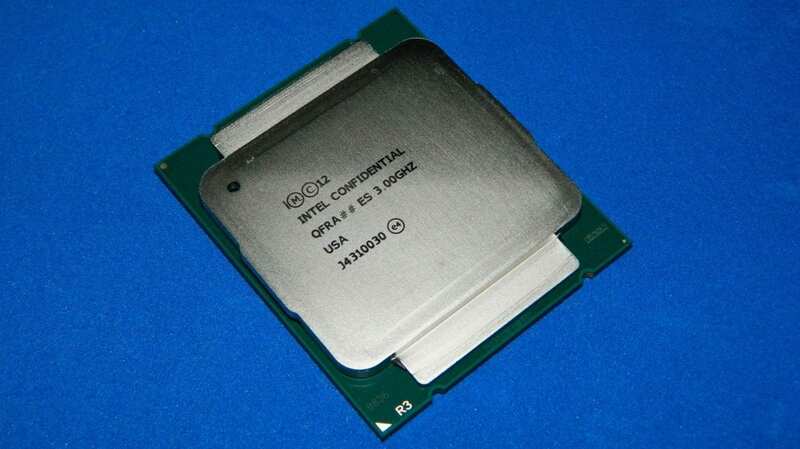 It's easy to understand the purpose of the Intel Core i7-5960X or any of the LGA-2011-3 processors really. They all have enough processing power to do anything faster than previous processors before it, especially if those processors call upon more threads. These processors aren't really designed with just gaming in mind as much as they're meant for transcoding, encoding, compiling, and rendering. Any task that benefits from multiple cores and threads will get completed far more quickly than ever before. And with that many cores, any tasks that require a heavy level of multi-tasking like content creation (Adobe Creative Suite comes to mind) will benefit greatly from the availability of extra cores, that can be assigned in most of these types of applications, for best possible performance. As mentioned, the Intel Core i7-5960X is an 8 core - 16 thread beast. Like all the Haswell-E cores to be unleashed, it supports DDR4-2133 MHz memory out of the box. That should be over 64 GB/s maximum possible data being moved between the CPU's memory controller and the DDR4-2133 modules themselves. With up to 40 PCIE 3.0 lanes available to this CPU, users can install multiple graphics and even higher end storage cards without issue. For the technically inclined readers, the the table reveals the main feature differences between the Gulftown, Ivy Bridge-E, and Haswell-E flagship processors. It's interesting to see how the architectures have progressed. 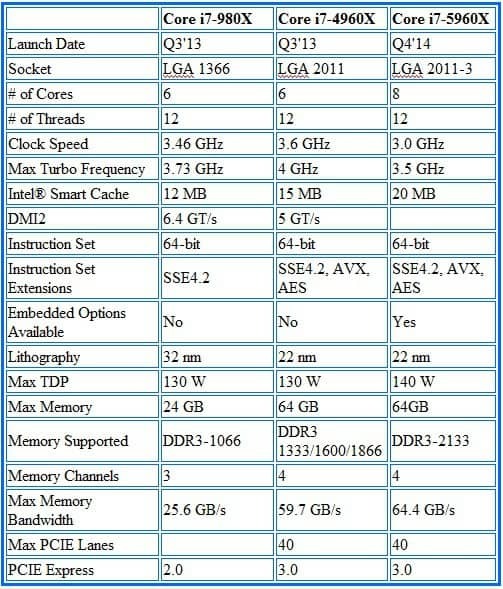 This table reveals that Haswell-E and IvyBridge-E share similar technologies. 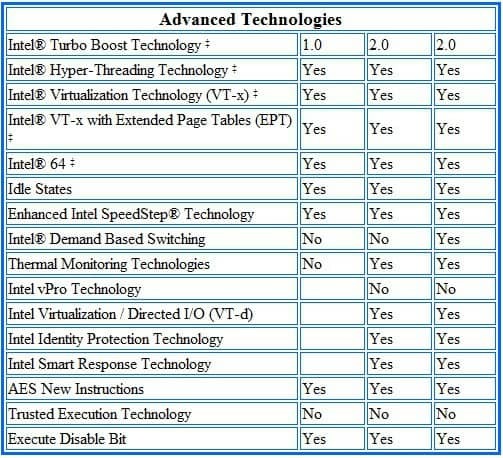 Keep in mind that these are still different from active features in Xeon processors. If real server type support is needed, that's where you want to be looking for a chip. Lets discuss how much the new series is going to cost you.